I love polka dots, so this is the perfect tutorial for me. Super cute! I love polka dots too, they seem to work perfect with everything. Those are the cutest nails. I’m really bad at nails. I dont have patience to have them dry properly. Especially with a 2yr old:) Love it!!! That is beautiful! And it doesn’t look so hard to do either. Hope you get chosen! Such a cute design! Happy SITS Day! What fun! Love the dotty dress and the dotty nails! Thanks for sharing! 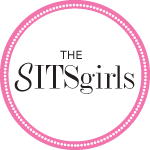 Here via The SITS Girls. I think you nailed it…lol. I love your design it goes perfectly with the dress. I hope ModCloth decides to feature you. Love the polka dots!! What creativity you have. Have a beautiful day! Good luck in the challenge Yana. The dress and your nail art are super cute. Rachel recently posted Brand the Heck Out of Yourself! I am obsessed with polka dots and LOVEEEEE this nail art. It also looks pretty simple, so I am going to give it a try. Thanks for the post. Good luck! This design is easy and fun, enjoy!